FTS (Full-Text Search) « The SQL Dude! For those of you not familiar with my past work, I am a moderator of the official SQL Server Full-Text Search blog on MSDN and I recently posted there an article about custom IFilter and SQL Server. I am attaching a sample of the project I downloaded and built from Windows SDK v6.1 which works with SQL Server 2008 and R2. 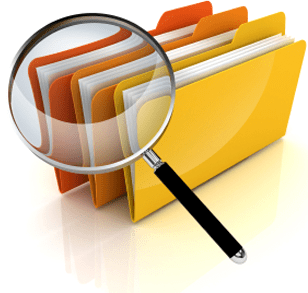 The IFilterSample implements a sample IFilter for a fictitious file format called “.filtersample” which is actually an XML file. This sample will work on Windows Vista and Windows 7. I am going to use IFilterSample as reference and must warn you this post is NOT a how-to-write-custom-IFilter lessonJ. 1. Download and install the Windows Server 2008 SDK on your machine. 2. Copy the sample from C:\Program Files\Microsoft SDKs\Windows\v6.1\Samples\winui\wsearch\FilterSample, onto your desktop which is the copy we will use to build the project. 4. Build the project for x64 or Win32 as appropriate (this would be dependent on the architecture of your SQL Server this IFilter will be used on). 5. Once the project is built you will have FilterSample.DLL in your Debug or Release folder. Make sure that the SQL Server service account has FULL CONTROL permissions on this folder. 7. Now we need to create some registry keys in SQL Server to make it use this filter DLL. a. The keys I created below are for a default instance of SQL Server 2008, so change the InstanceID as appropriate. b. The CLSID given below is specific to this IFilterSample only. c. Notice that the file extension I provided is called “.filtersample”. d. The path provided has to match the path from where it was registered in step #6. That was all, folks! You can now do a test to verify that the search is working as expected. There are 2 ways of testing the IFilter. a. Create a test table and enable it for full-text indexing. b. Insert a sample document into the table. The IFilterSample comes with a file called “SampleFile.filtersample”, which can be used for test purposes. this is a test of the emergency broadcasting system. I’m most pleased that it is the content of the document. If you see the above then the IFilter is working fine as you are able to read it and get the text chunks out. You might receive this error message in the SQLFT logs when trying to index a newly inserted row. This indicates that the IFilter was not recognised and there was an issue in loading it. Error ‘0x8004170c: The document format is not recognized by the filter.’ occurred during full-text index population for table or indexed view ‘[test].[dbo]. 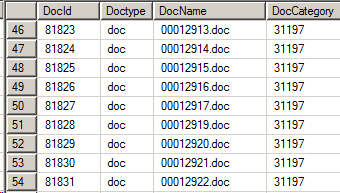 [Documents]’ (table or indexed view ID ‘1003150619’, database ID ‘6’), full-text key value ‘SampleFile.filtersample’. Failed to index the row. 1. Ensure that the registration and other steps given above are done in the same sequence as indicated. 2. If you are using the Debug build ensure that the VCRuntime Debug dependency DLL is present (msvcr90d.dll or msvcr100d.dll). 4. Use Dependency Walker to ensure there are no other missing dependencies for your DLL. 5. Verify that the DLL architecture (x64/x86) matches your SQL Server architecture. You cannot mix & match this. I must point out one important thing here if you are going to use this DLL on other machines. You will need to have the Visual Studio Redistributable package installed on the target machine where you plan to deploy this. You will need the corresponding redistributable package for the VS version you used to build the DLL. You can download the FilterSample project I used for my testing from here. This was built using Visual Studio 2010 on Windows Server 2008 R2 x64. Just FYI – The Release and Debug DLL present in the attached project is x64. You can rebuild to x86 as per your requirements. Have fun IFiltering and stay tuned for more on this blog.